Thought I would start a specific thread for the UltraVan #268. The wife and I ( Jon and Nicole Robere ) are purchasing the Ultravan from Jennifer Sochia, Roger Longs daughter. 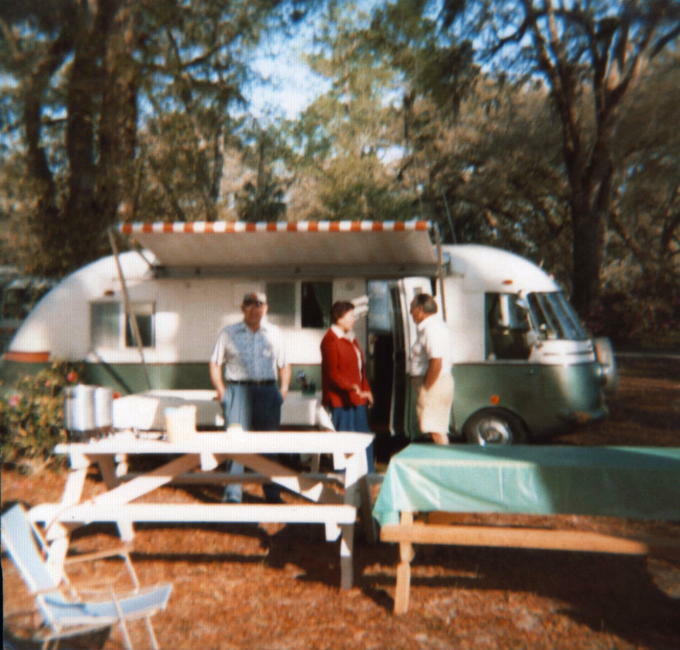 Roger and Moia Long joined the Ultravan communtity in 1974. They were members until 1992 when the UVMCC lost track of them. 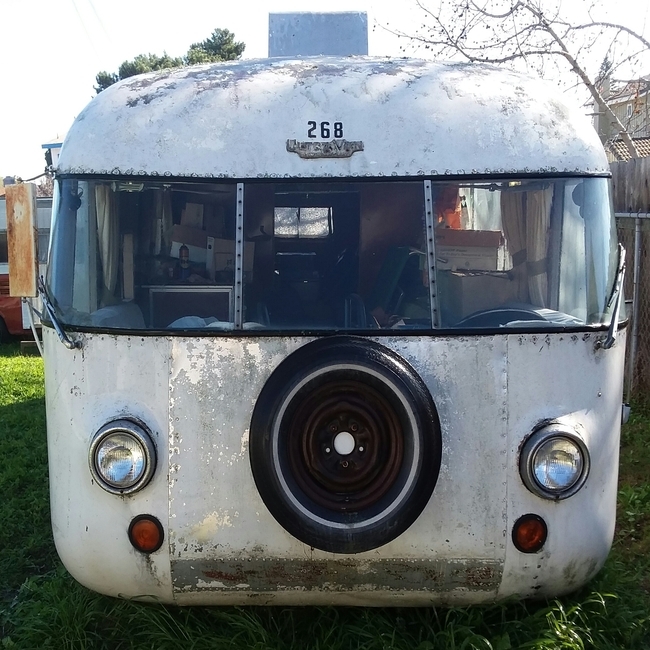 There is only one other registered owner of #268 the original buyer Donald Kiser from Kansas City who purchased the Ultravan on April 4, 1967. 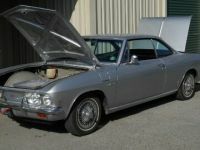 THANK YOU Owen Strawn for this information I love all the history of my vehicles. She is sitting in the same spot she has for I am guessing 35+ years. The tags read 1985. I have already made the deal to purchase the Ultravan although I will not receive keys or access to the inside until the 22nd of this month. Yes I bought it without going inside. The wife and I are Super Super happy we happened upon the Ultravan. If you were to go back to my post about "Bought It" I mentioned that I wished I had the courage to take on a project like that. Meaning the Ultravan. I left that day buying the Rampside camper that was also for sale. The Ultravan kept calling me though. I mean DAM I think it was a LOVE at first sight kind of thing. 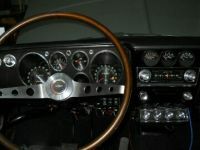 Although I have had my fair share of classic cars in my lifetime I usually buy them because they pull at my heart. I am not a mechanic but try and learn as I go along. If I could have ever picked a motorhome to drive and own it would have been the Ultravan. I never even knew they existed. The first time I ever saw one was that day when I saw it in person. And it Just Kept Growing On Me. I went home and started trying to figure out how to convince the wife we needed yet another vehicle that didn't run!!! After showing her what I had found we agreed it would be the perfect vehicle for us to spend our coming golden years. Wait! they are here already. I have been welcomed already by the Ultravn community and I really look forward to getting #268 road worthy and back with all her family. It's going to be an adventure I can tell. I could use ANY HELP OR IDEAS on how to proceed. 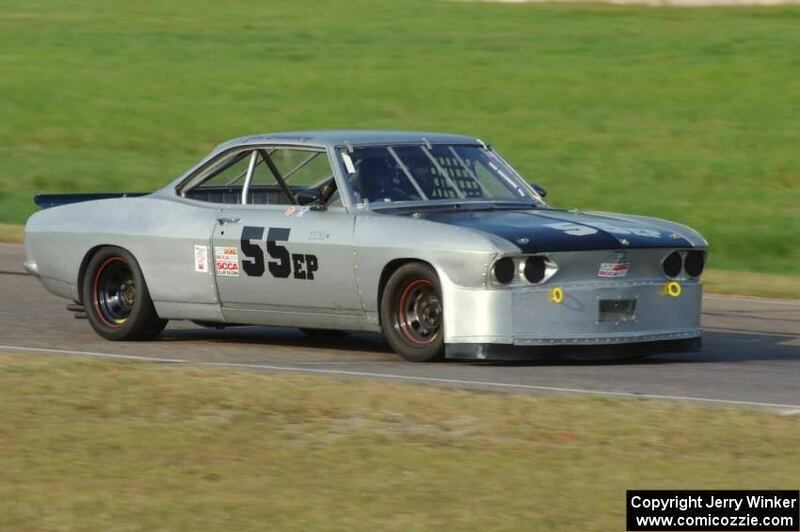 I plan on asking advice and for help from the San Diego Corvair Club at next weeks meeting. 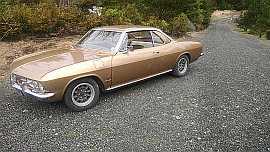 We joined a few years ago when we purchased our 64 and 66 corvairs. So I am not sure WHY the Ultra was parked. It has sat for 35+ years. I am going to research a bit but I am assuming the tires on there wont roll or wont hold air? I did notice that one was flat and had a gaping hole. I want to be careful and not damage anything. I think I saw the Ultra takes regular wheels/tires? Would it be a good idea to just bring four good wheels and tires with me? 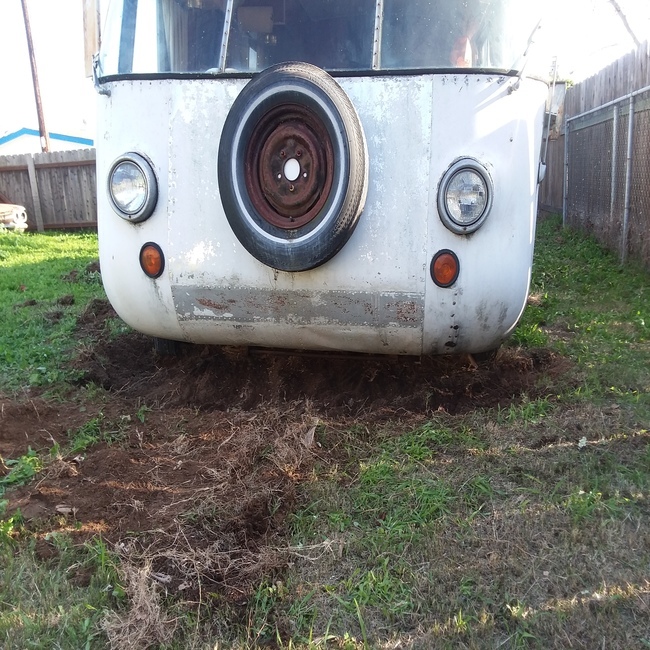 How does one jack up a motorhome when its on grass and the tires are half buried in the dirt? Can I put a thick piece of plywood on the ground and jack it from there? Should I bring bring a shovel and try and level out the yard a bit? I have some limitations as to what I can physically accomplish. An accident years ago left me with neck, back, spine problems. I am going to bring my 17 year old son and a buddy from the club over this weekend to try and brainstorm what to do. I have posted here hoping to gain some insight as to how to proceed. I would like to do it right and safe and no damage to the vehicles. I do have a running 140 hp engine. I do have a set of wheels and tires I could use. Replace the brakes? How hard would it be to swap that stuff out and drive that sucker out of there? Is that even possible? 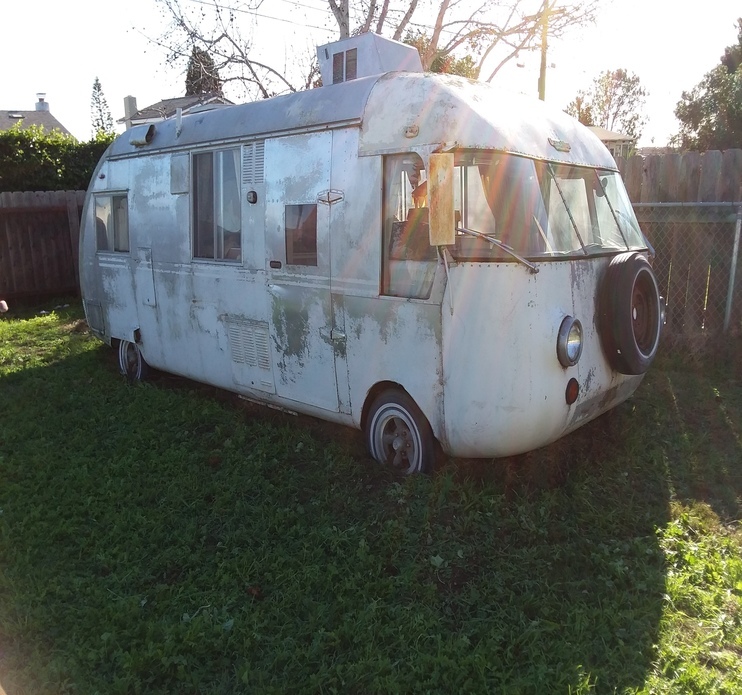 I have seen multiple people do this with VW busses found in the hills of Northern California. Haha. I am dreaming though. My back is still killing me from washing the Ultra a couple days ago! Cant wait for more pictures. I stumbled onto Corvairs after I got out of the Air Force in 83. Like you I had to figure it out along the way. As you well know there are a lot of resources to help you in your en devours, that weren't available in the past. Just take your time and do your research while enlisting guidance along the way. You will be fine, you already have the enthusiasm part licked. You scored two of the most unique vehicles ever made and we are all available to help you out in any capacity that we can. Props to you for stepping up to the challenge !!! Yes you can put the jack on top of a piece of plywood or plank. We do it all the time in the road race paddock. I wouldn't get under it though unless it's well blocked up. In the rear there's an almost frame looking sort of a spot in for jacking. I don't remember in the front but I don't think you want to jack it up by the suspension, the A-arms are not very strong. They usually just take regular Chevy 5 bolt on 4 3/4 wheels, probably 14" or 15" would be best. I don't know how far you need to go but renting a trailer with the wheels under the bed would probably be best, although it's sort of a beast to get up on there. 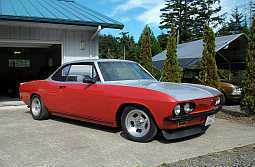 It's not good to flat tow a Corvair Powerglide without the engine running. I would not trust the brakes, the parking brake is marginal at best. The little room where the master cylinder lives is tight but I would certainly install a dual master cylinder. You don't want a brake failure in a PG UV. It's quite an undertaking and I admire your sand, you have True Grit. A lot of the questions you have posted here really belong postd on the yahoo groups Ultravan email list and you will get lots of good answers. I will answer a few of your questions here. Yes it is a standard GM 5-4 3/4 wheel bolt pattern. Yes you could probably use plywood to help with the jack but be aware the jack will probably break through a 1/2" plywood. 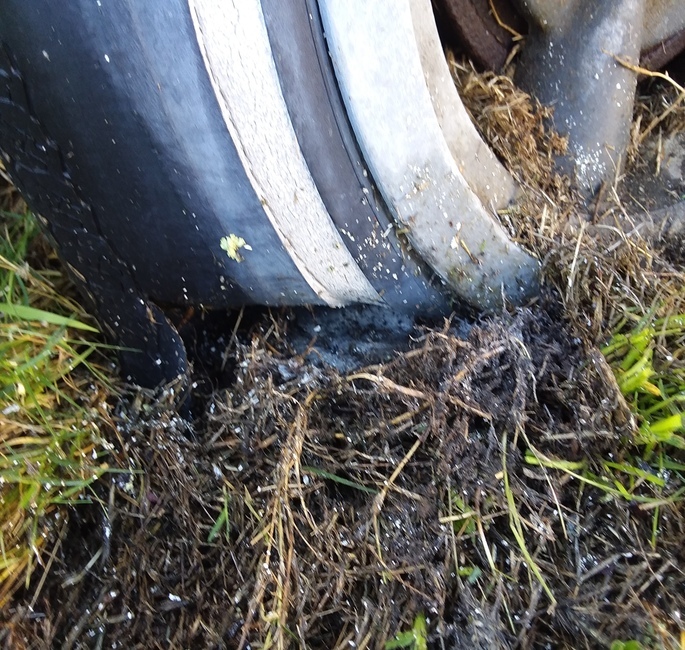 There are jack points and those need to have a pad of wood on the jack to protect the structure. This is ALL aluminum construction and will bend if you jack in the wrong manner. I use a 4X4 beam across the whole section with the jack in the middle. That way I take up one end at a time. Do not jack up a corner as you can again twist and stretch the coach structure. Anything you do of this nature keep that fact in mind. Go the the UVMC web site and order the Ryerson manual, paper or CD, before you do anything so you are familiar with what you are up against. If you have a spare drivetrain that you know runs I suppose you could swap it out and have an external fuel supply and then try to use the engine to move it. More than likely the brakes are stuck. 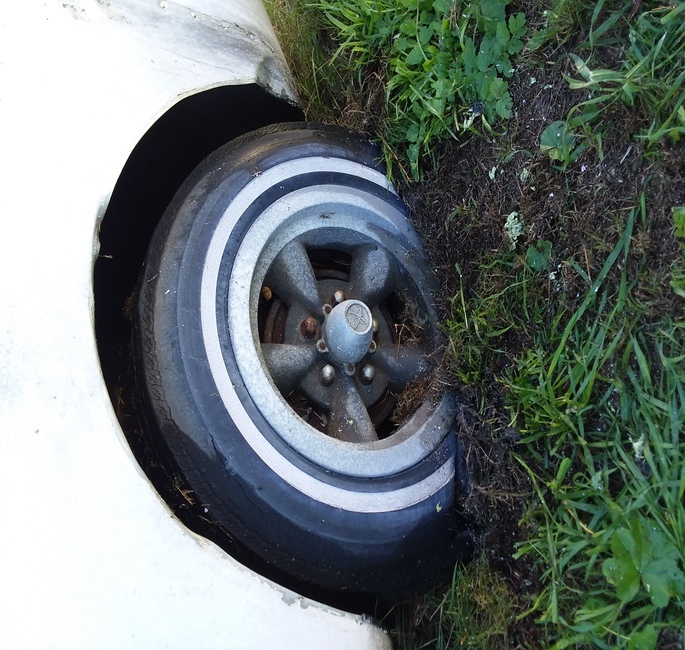 Be EXTREMELY careful on what you do to try and tow or pull on this unit as you can bend and stretch bolt holes in the aluminum and even break the front lower A-Arms. Edited 1 time(s). Last edit at 02/08/2019 09:18AM by vairmech. Do yourself a great favor and have a PROFESSIONAL remove the Ultra from Roger's yard and then have them flatbed the van to your premises. 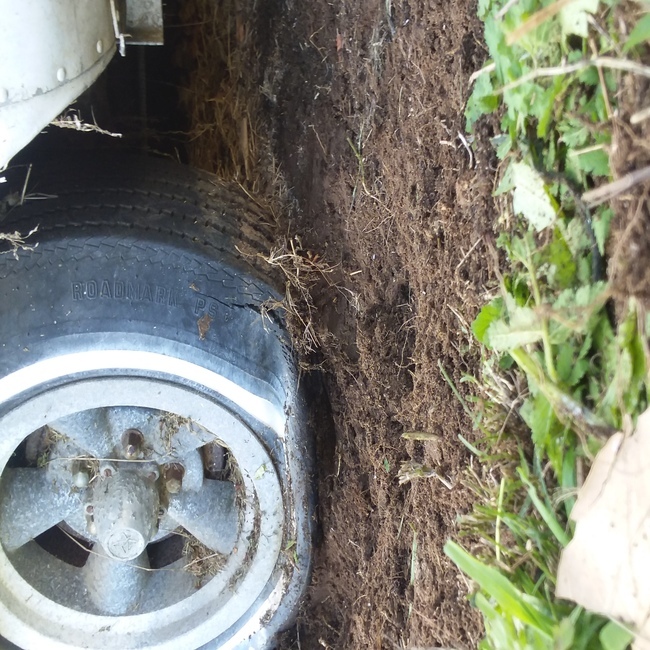 Attempts to do it yourself (and friend's help) will very likely damage the vehicle trying to get it out of the deep ruts. I have been in that backyard in the past and as you know the driver's side is up against the fence. Not totally inaccessible, but difficult to get at to those two wheels. I have a tower that works the beach area. I will find the name and advise you. Or you may have a tower you already use. The tow company I use is "Wind N Sea" Their number is 858-488- 8697. Ask if they can give you an estimate. Hey Bob! I had planned on hiring a tow company to to it to my house. I thought I would have to get it rolling though? Those tires are dead. Gaping holes. Are you going to the meeting this Thursday? I could use all the help I can get. Jennifer said she wont be back at the house until the 22. Dont have any keys until then. I am so excited bout it I cant contain myself. Its so cool! I called them. $220 an hour. Wonder how long it takes to tow an Ultra from Pacific Beach to La Mesa? There are jack points and those need to have a pad of wood on the jack to protect the structure. This is ALL aluminum construction and will bend if you jack in the wrong manner. I use a 4X4 beam across the whole section with the jack in the middle. That way I take up one end at a time. Do not jack up a corner as you can again twist and stretch the coach structure. Ok so this is ok to do? I thought that jacking it up one corner at a time might twist or crack something? > the whole section with the jack in the middle. Read it again, a little slower this time. You are a understandably a bit excited, but you need to slow down a tad. > > of wood on the jack to protect the structure. > > the whole section with the jack in the middle. > Read it again, a little slower this time. > need to slow down a tad. Yeah I am definitely excited. I was ASKING if it was OK to use that 4x4 and place it under both jack points...and use the Jack to raise ONE end of the vehicle. That Ultra is huge and in the dirt. So yeah what vairmech said. Lift one end up NOT the individual corners. Believe me I want to do it right. Edited 1 time(s). Last edit at 02/09/2019 04:18AM by stiffneck. If you really need to you can raise one corner a few inches and block it but that would be like 4-5" and then go to the other side and do the same until you can get the jack under the center to get the complete one end up. Keep in mind this is aluminum NOT steel. Think beer can! > the complete one end up. Thanks @vairmech I am going slow and careful. I have until the 22 and I really need it. I got back problems and really shouldn't be doing this stuff but the Ultra and Rampy/camper are going home with me Hell or High water. Hard part is done. Get the wife on board. Seal the deal with the buyer. Everything else is I guess.... the Fun Stuff. I do need to kinda slow down a little bit as @American mel suggests.